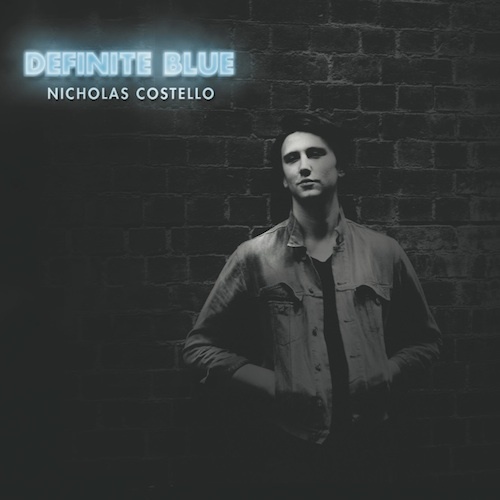 Definite Blue is a remarkable first release from Melburnian Nicholas Costello, who at only 22 has a surprising maturity in his music. Sheer talent is evident from the first listen. Having previously fronted local bands, this is Costello’s first foray into the world as a solo artist and if this effort is anything to go by, he’s set himself up for a long and successful career. Definite Blue is a folk-rock dream, laden with acoustic instruments (and occasionally, a string section). The arrangements are sparse and largely stripped back but they don’t lack in richness. The music alone is enough to capture attention, but is met perfectly by poetic lyrics that Costello clearly has a talent for writing – nostalgic, wistful and romantic with a honesty that is hard to miss. The listener is left with no doubt that Costello writes from his own life, with matters of the heart front and centre. Costello’s flair for both lyricism and melody is reminiscent of City and Colour on more than one occasion. The EP opens with ‘Sometimes’, a haunting tune that showcases the versatility of Costello’s remarkable voice. Soulful and with an incredible range, he is accompanied by wistful acoustic guitar, creating a melancholic ambiance. The track establishes the tone of the entire album to come. The other three tracks on this debut EP are each distinctive, the tunes tugging at heartstrings as Costello’s soulful voice is layered over the top, all with a thread of wistful melancholy underpinning them. The standout track is without a doubt, closer ‘To Let Go’, a song that is clearly personal, with rawness and honesty that is striking. The feel of Definite Blue stays with the listener long after it has reached its end. It plays on your mind, making you want to listen all over again. Definite Blue is sophisticated and impressive by any standards – never mind as a first release. If it is used as a measure of talent, Nicholas Costello has a great deal to offer the world and it will be exciting to hear what he produces next. This entry was posted in Arts, Music and tagged acoustic, aus music, Definite Blue, Nicholas Costello. Bookmark the permalink.